Its clarity (quality of being clear, pure, transparent) can be characterised as crystalline, clear, dull, or cloudy. ● First nose : Without moving the glass, you can discern the highly volatile elements that are often extremely delicate and always fleeting. This is called the montant”. 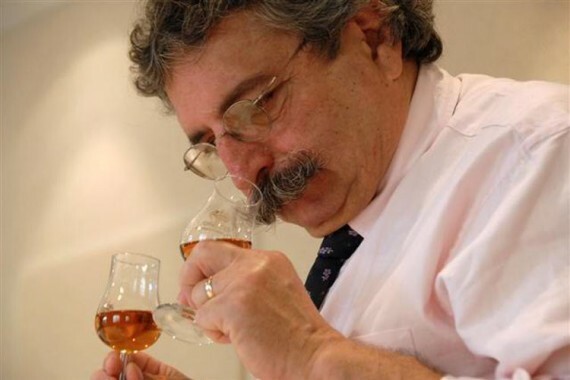 ● Second nose : Swirl the glass very gently to aerate the Cognac. The contact with oxygen reveals its aromatic components. Here you will encounter floral or fruity aromas such as linden flower, grapevine flower, dry vines, freshly crushed grapes, violets, vanilla… The specific shape of the tulip glass maximises the olfactory experience. This brings the Cognac into contact with most of the taste receptors in the mouth. The ambient heat will also cause it to release aromatic vapors that will reach the olfactive bulb via the retronasal passage. The tongue is a sensory organ that can detect sweet (on the tip of the tongue), salty (along the sides towards the back), sour (on the sides) and bitter (at the back). While the enthusiast tastes Cognac for pleasure, professionals also use tasting as a tool in their craft. In combination with analyses, it is the most reliable method for evaluating and offering consumers products of impeccable quality. 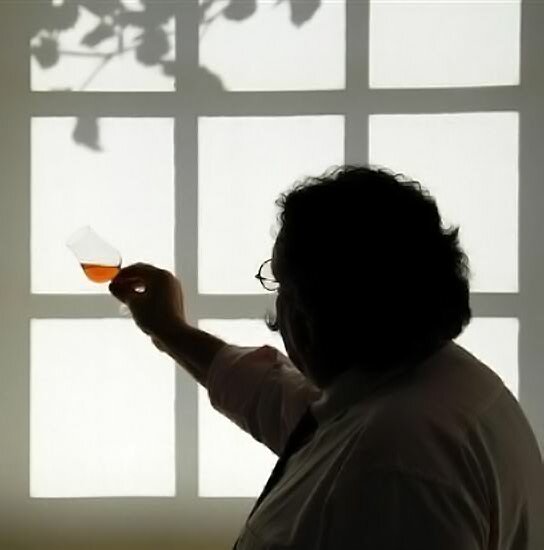 Using this sensory examination, producers can control the different stages of distillation, follow the changes that take place during ageing, create the blends necessary to produce Cognac and, finally, evaluate the characteristics of the final product to be released.